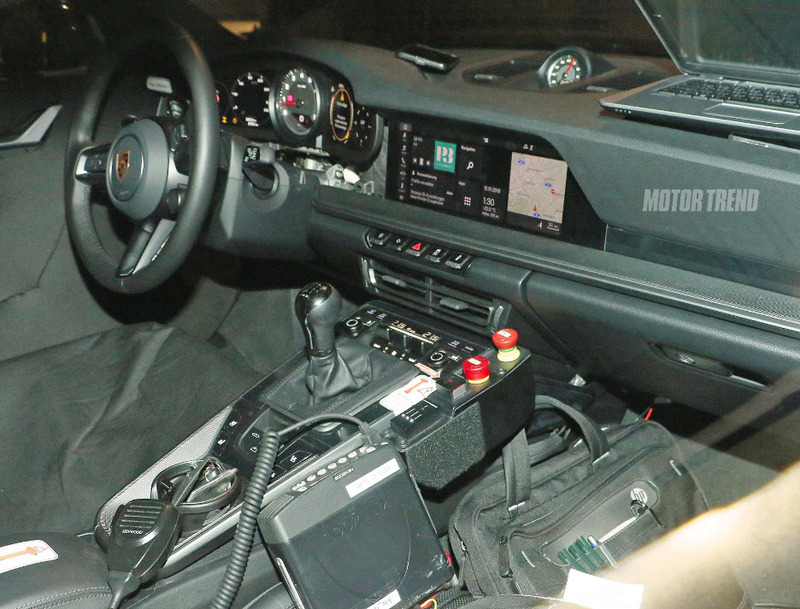 A shot of the interior of the next generation Porsche 911 has emerged, it shows a full view of the inside of the up-coming sports car with very few elements disguised. The image joins a collection of shots that hint at what the entire car will look like. What we can tell is that, as with every generation of the 911, the new model won’t look dramatically different from the current car but it will showcase another leap in chassis and interior technology. The latest image shows a lot more of the future car’s interior than we’ve seen before. As expected, there’s a Panamera-style centre console with gloss black surfaces and very few buttons. There’s also a wide infotainment screen in the centre of the dash with the same clean, black and white graphics that made a debut on the Panamera. Between the gloss black panels we can see the new PDK gear selector. Rather than the tall ball-topped lever that the current car uses, this is a small, rectangular shaped device. It looks as though it isn’t designed to change up or down through the ratios, however, and is just used select drive, reverse or park. The wheel-mounted paddles will be the only way to manually change gears. 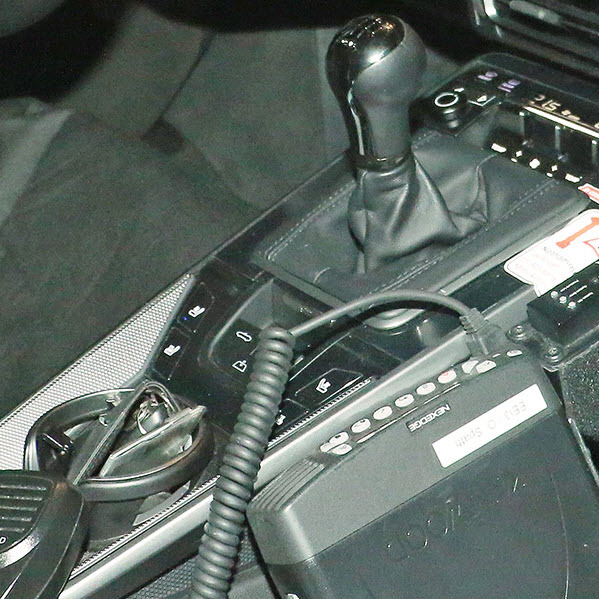 If a proper manual gearbox will be available, we hope the location on the cup holder we can see in this latest spy shot – not far behind the PDK gear selector – is moved. It looks to be in the exact place that your elbow will sit when you’re changing gear. enclosed is another clear shot of the interior with the all important manual transmission dismissing fears of a PDK only range ! Instrument cowling looks like a throwback to the air cooled cars. Main dash and console has a lot less flow (realise it's not finsihed, but you can see how it's going tom flow or rather not flow). Looks like a BMW-Merc mashup. Not really liking. Went to the new Cayenne launch this evening at my local OPC. The 992 dash and centre console are a virtual carbon copy of the new Cayenne's layout. Impressive in the flesh, but those 2 centre vents are indeed way too low because of the need to make way for the large centre touch screen. The two red buttons: “I’d like to stop, please...” and “I’d really really like to stop RIGHT NOW!" How was the booze and nibbles?